Caption: Clay Whitham walking in Linda to winner circle. Linda with Brian Hernandez Jr. wins the Mrs. Revere (gr. 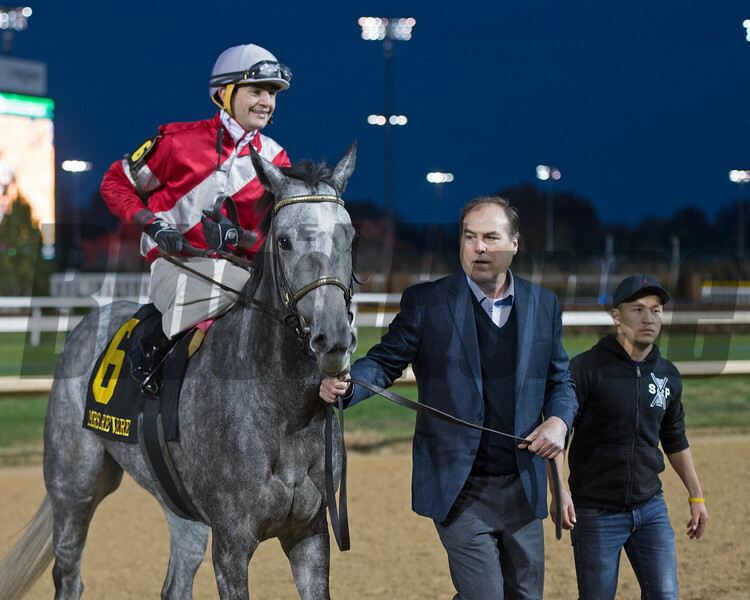 II) for Whitham Thoroughbreds and Ian Wilkes on Nov. 25, 2016, at Churchill Downs.